NO. 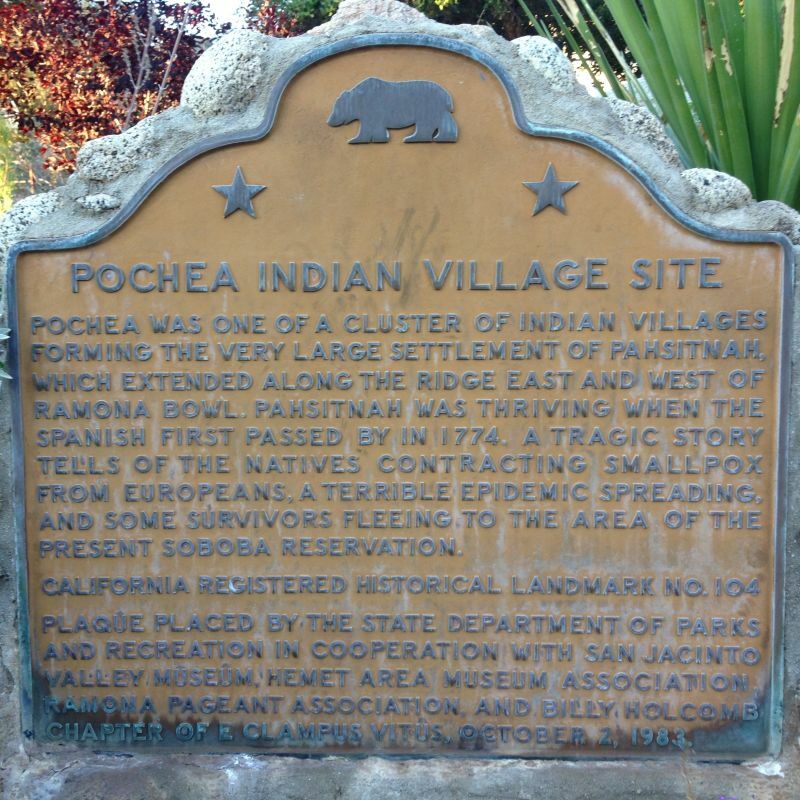 104 SITE OF INDIAN VILLAGE OF POCHEA - Pochea was one of a cluster of Indian villages forming the very large settlement of Pahsitnah, which extended along the ridge east and west of Ramona Bowl. Pahsitnah was thriving when the Spanish first passed by in 1774. 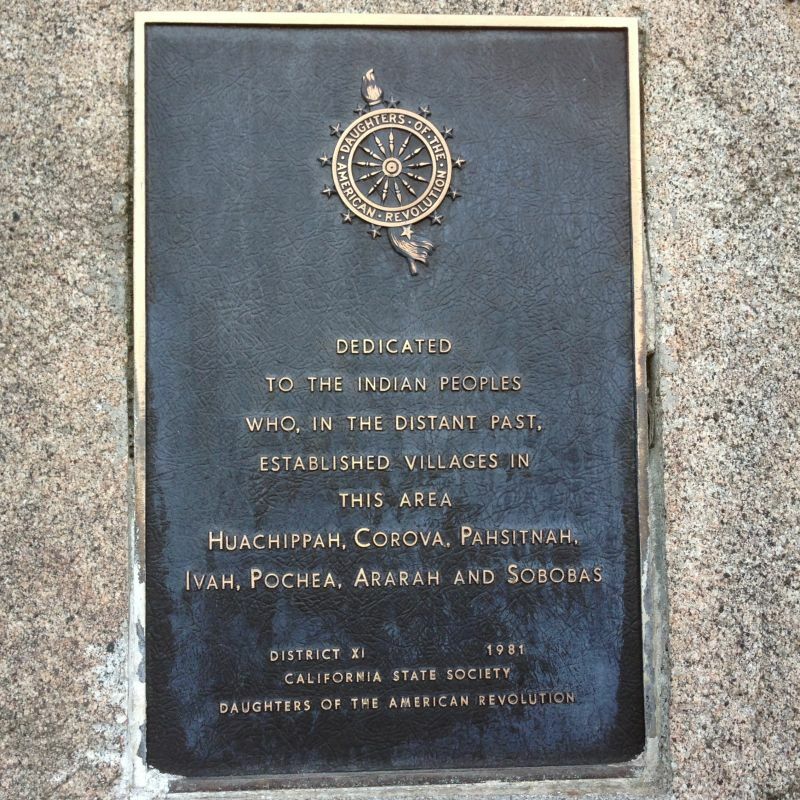 A tragic story tells of the natives contracting smallpox from Europeans, a terrible epidemic spreading, and some survivors fleeing to the area of the present Soboba Reservation. From The San Bernardino County Sun, September 25, 1983: "The arrival of the Spanish brought tragedy to the Indians. Some fled across the San Jacinto River to the Soboba area or to the mountains and never returned, unwilling to live at the old home they regarded as the cemetery of their finest stock. … It's a matter historians have discussed for more than a century. It's known that smallpox and measles took a terrible toll in the first half of the 19th century. Devastating outbreaks of disease occurred among the Indians five times between 1806 and 1863. Some of the Indians may have been persuaded to move to Mission San Juan Caplstrano during its construction from 1796 to 1806, or later. Hutchings reported that surviving Indians fled. 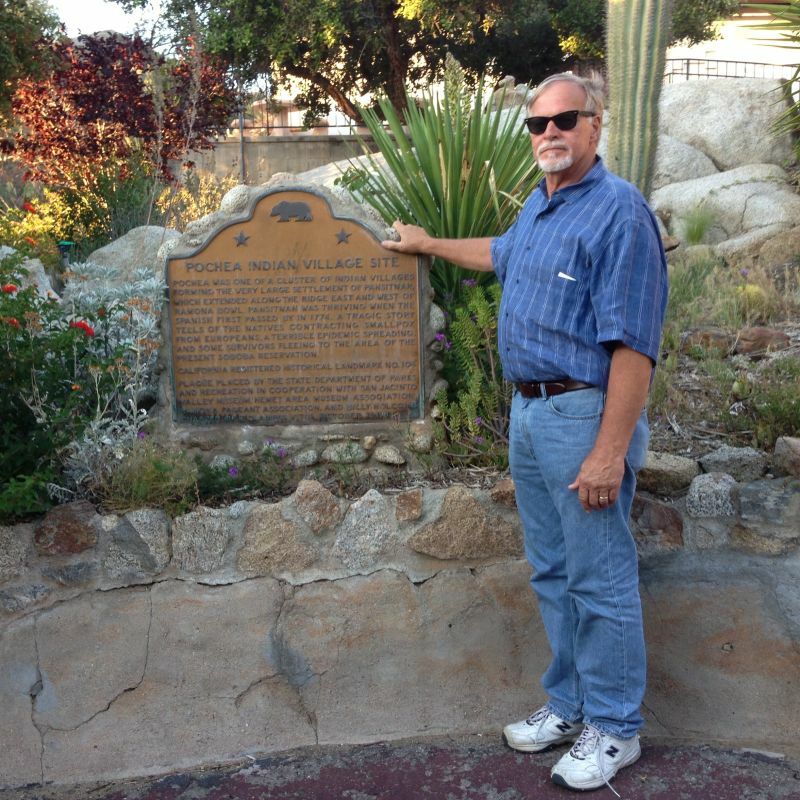 To learn more about San Jacinto Valley, Cahuilla Indians, Pahsitnah and Pochea, drive to Ramona Bowl… The trip will be pleasant and worthwhile."